The Turner Creek Elementary PTA Membership drive for 2017-2018 is now underway! If you prefer to pay by cash or check, you can download the paper form here and submit your payment and information to your child's teacher. Please contact our Membership Committee if you have any questions. 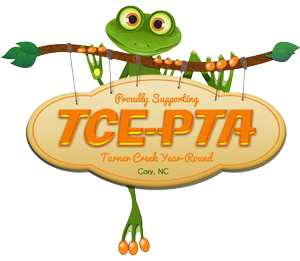 ​Thank you to those that have taken the time to show your support of Turner Creek Year Round and joined the TCE-PTA this year! Right here, right now, it's a great place to be!! Once you click the membership type, it will take you to the PayPal page. If you want add a Sponsor Membership too, come back to this page and click 'Sponsor Membership'. Your PayPal cart will then update, showing both membership types. Thank you in advance for helping our less fortunate families join the PTA! Important Note: Family Memberships require a unique email address after first and last name for both members! Sponsor a Family and help us reach our membership goal. If you are using a Paper Form, please return it in your child's backpack in an envelope marked "TCE-PTA Membership".